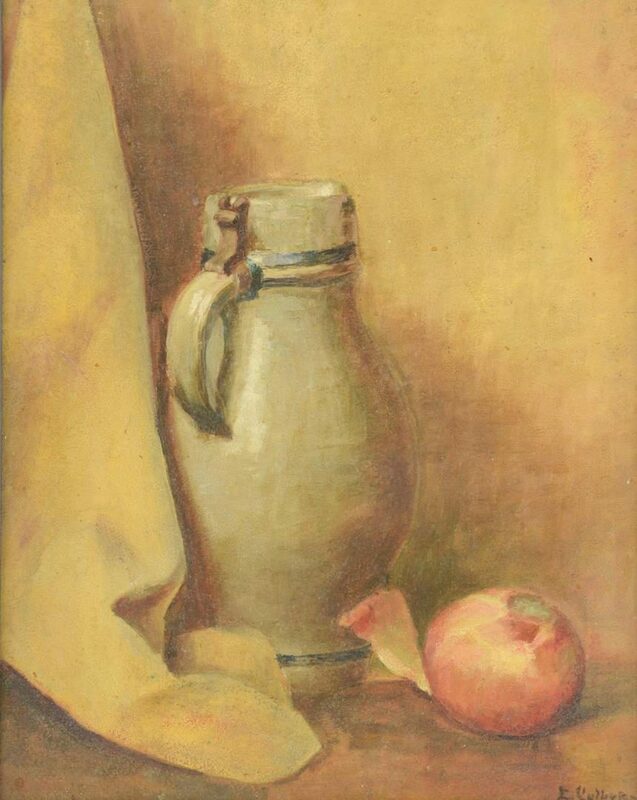 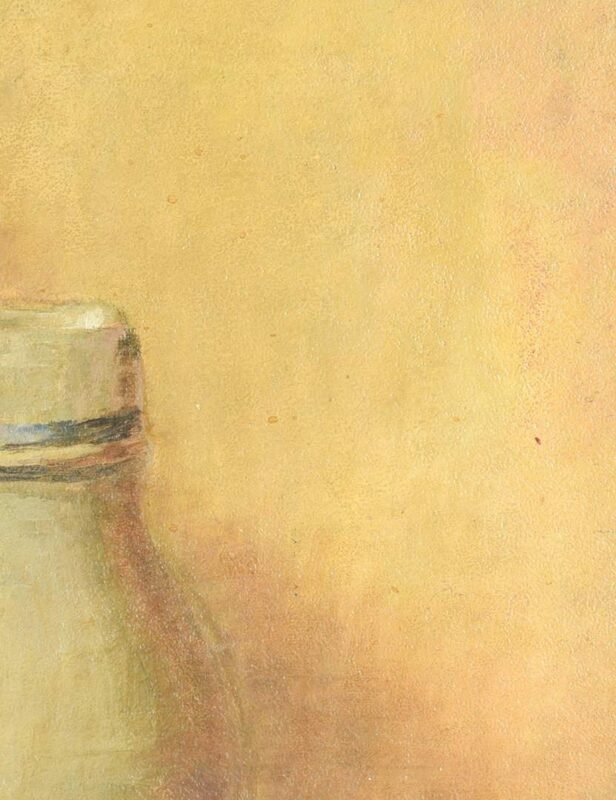 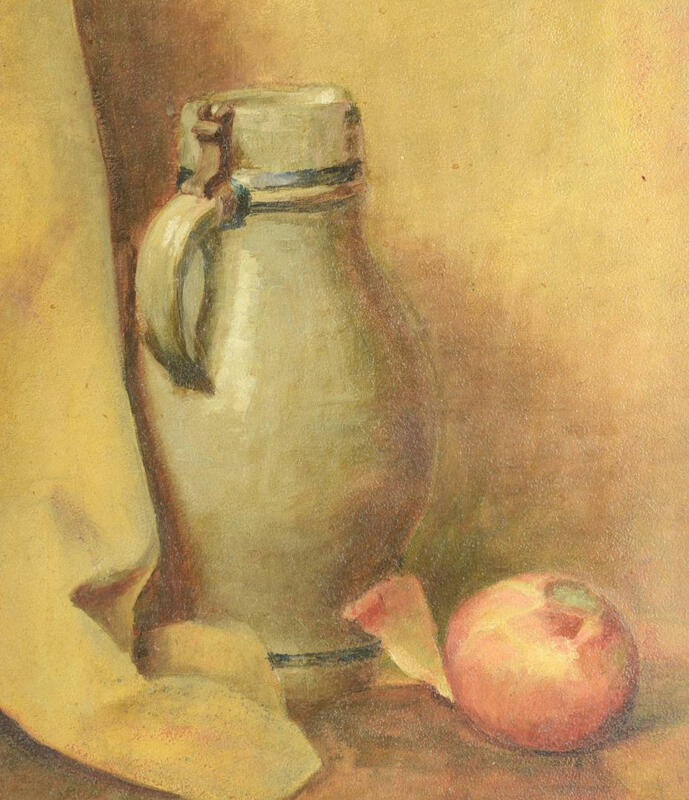 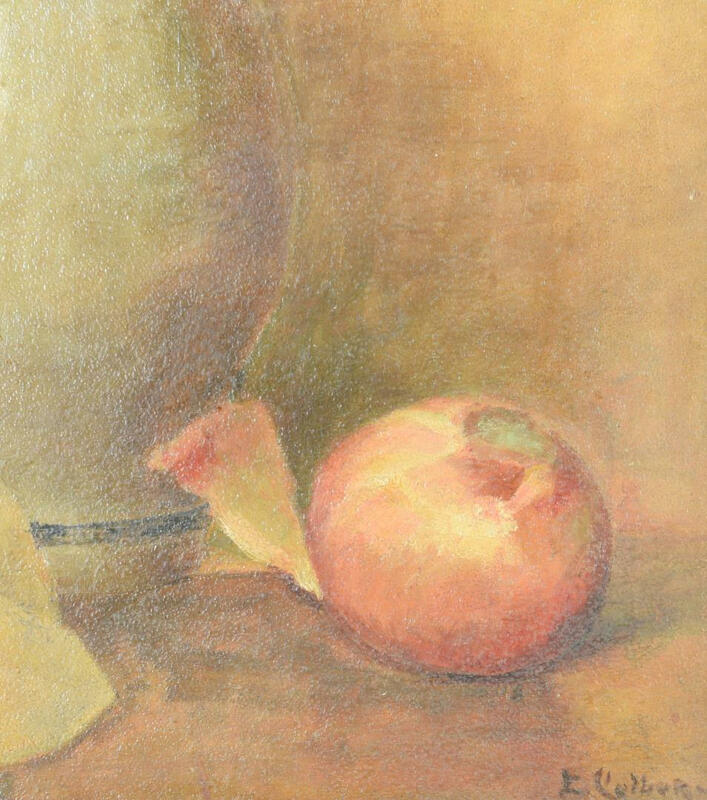 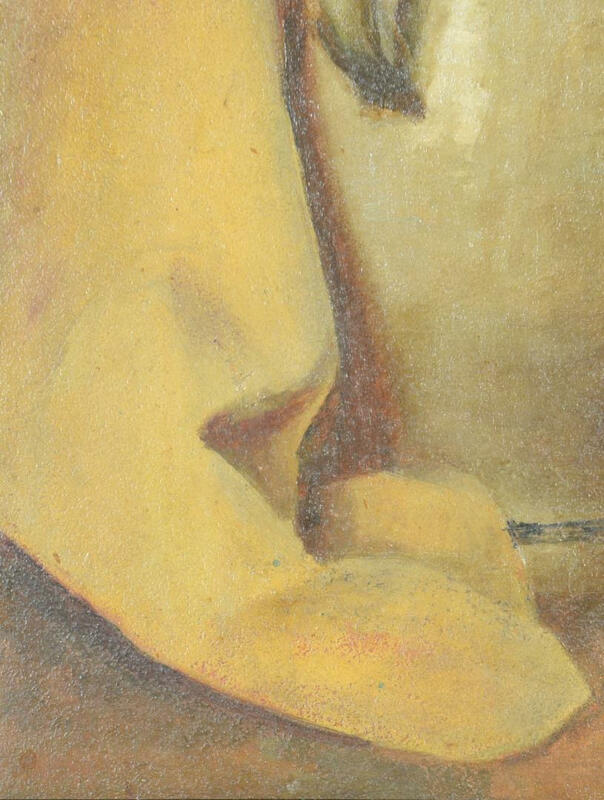 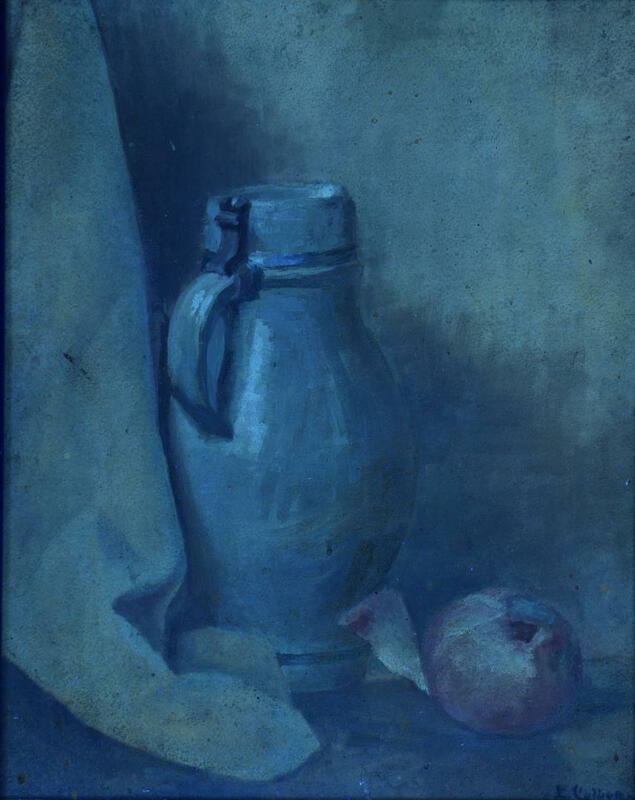 Attributed Elanor Ruth Eaton Gump Colburn (Ohio/California, 1866-1939) oil on board still life painting depicting a stoneware pitcher set against a drape, and an onion with partially torn skin. 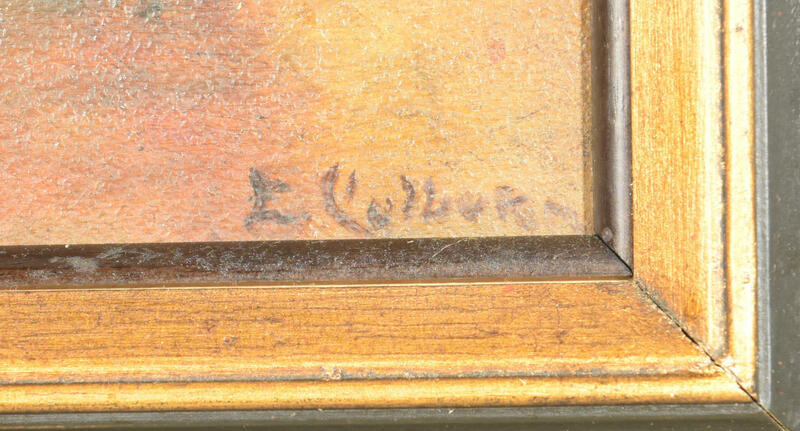 Signed lower right E Colburn. 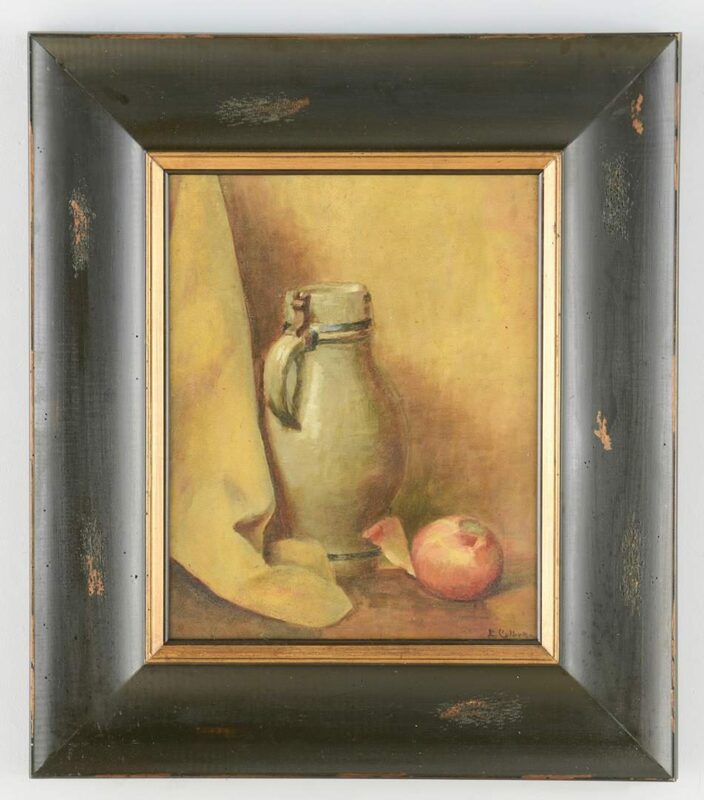 Housed in a broad ebonized and partially distressed frame with gilt rabbet edge. 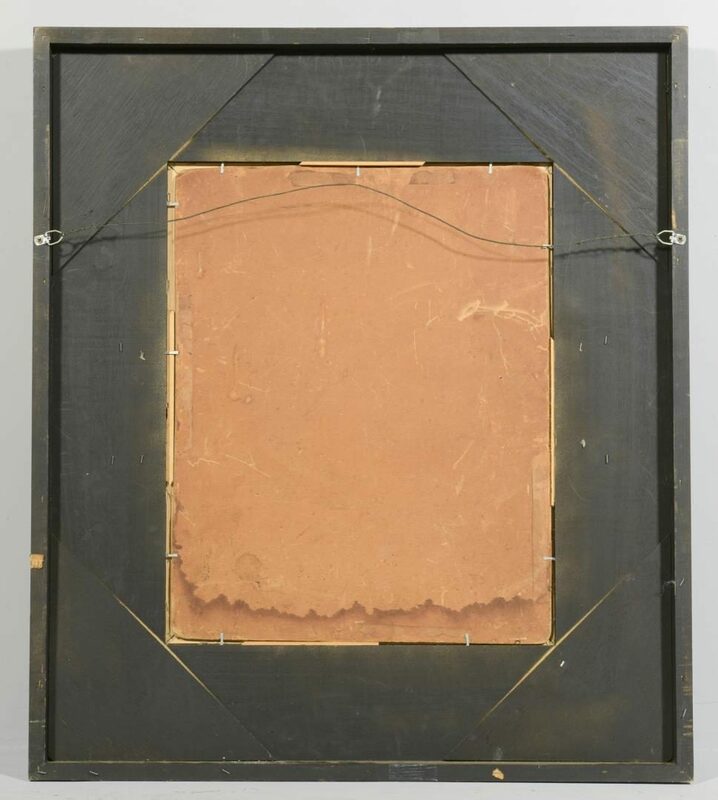 Sight – 19" H x 15-1/2" W. Framed – 30-1/2" H x 27" W. CONDITION: A couple of small stains and accretions, overall very good condition.